In Europe PES 2014 will be released tomorrow, on the 19th of September, but Konami still has a few aces in the hole. Today the developers have decided to put their cards on the table and presented the PES 2014 multiplayer mode by publishing new game's trailer. 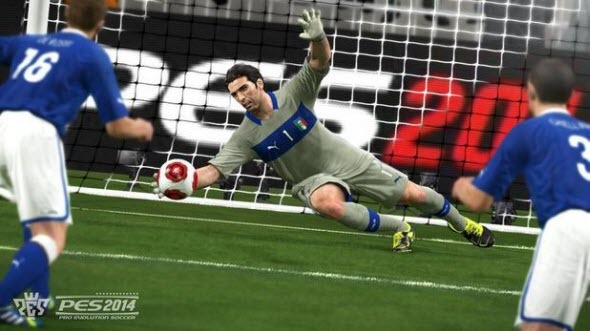 PES 2014 multiplayer mode will be as innovative as the game itself. For the first time in the history of this football simulator the gamers will be able to play 11 vs. 11 footballers in online mode. Also you can choose the type of online competition and play against other people or cooperate with them and compete with the artificial intelligence. The other interesting feature that will be available in PES 2014 multiplayer mode allows you to use your players' data in online matches and show it to the friends. The PES 2014 trailer shown above is not the only one video that Konami has presented today. A few minutes ago the developers published brilliant TV ad of PES 2014, in which you can see how the real football transforms into the virtual matches and vice versa. Are you waiting for PES 2014? Are you excited with this football simulator? Let us know in the comments below!